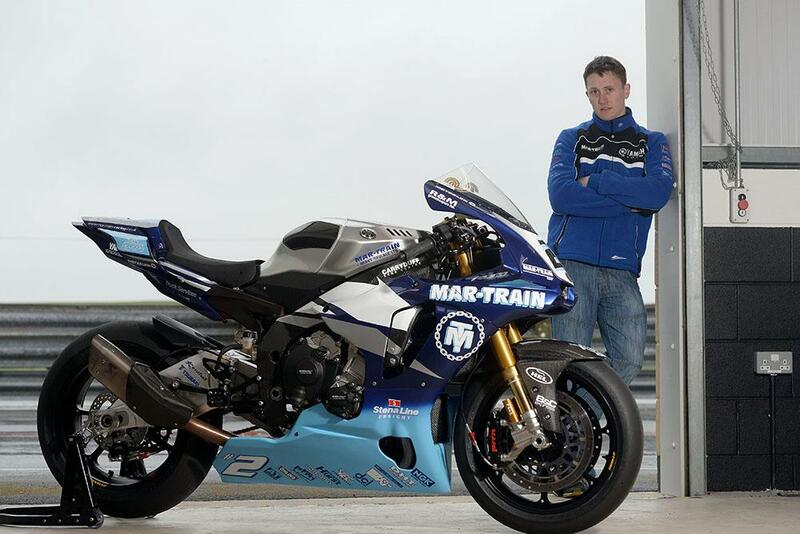 Mar-Train Racing’s Dean Harrison will make his racing debut on Yamaha’s all-new R1 machine this weekend at Scarborough’s Spring Cup season-opener. The event, at Yorkshire’s Oliver’s Mount circuit, also marks the new bike’s first foray into real road racing. Harrison, who has come from rookie to international race star and TT winner in only four years, took home a pair of second places to Guy Martin last year at the event – but with a new bike under him and a year’s experience behind him, he’s looking to go one better this year. “I can’t wait to get started, we’ve had three really productive tests and are a lot further on than I expected to be at this stage. The R6 is even better than last year and the R1M is just mega, easily the best bike I’ve ever ridden so it will be good to put it to the test and see how we get on. With the new bike still heavily under development, however, team boss Tim martin says that there’s going to be room for even more improvement after the weekend. “It is always exciting to start a new racing season even more so when you are embarking upon a new challenge. I’m looking forward to a full road racing campaign and have high hopes for Dean. He proved last year that he can compete with the best riders on the biggest stage and Yamaha have now given him the tools to build on that.